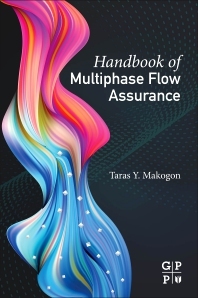 Handbook of Multiphase Flow Assurance allows readers to progress in their understanding of basic phenomena and complex operating challenges. The book starts with the fundamentals, but then goes on to discuss phase behavior, fluid sampling, fluid flow properties and fluid characterization. It also covers flow assurance impedance, deliverability, stability and integrity issues, as well as hydraulic, thermal and risk analysis. The inclusion of case studies and references helps provide an industrial focus and practical application that makes the book a novel resource for flow assurance management and an introductory reference for engineers just entering the field of flow assurance. Taras Makogon is currently a Principal Flow Assurance Consultant with the Wood Group. He is a technical contributor and manager with over twenty years in upstream petroleum industry and technology primarily in flow assurance and production chemistry in Deepwater, onshore and unconventional shale. He has strong project management, international operations, and commercial delivery of results and patents in process optimization, multiphase flow and molecular modeling chemical design to control solids crystallization and deposition in conduits. He has a Doctorate in Chemical Engineering and Petroleum Refining from the Colorado School of Mines, U.S.A., and an MBA in Finance from the Houston Baptist University.